In this gallery, you will find a collection of my black and white photographs of landscapes, cityscapes, as well as architecture. Since I am photographing digitally these days the photos are converted to B&W in post-processing when I thought the motive would be fitting. Of some photos, you will find the color equivalent in the travel photo gallery as well. Kirkjufell, Grundarfjörður, Western Region / Snæfellsnes Peninsula Peninsula • Iceland Lucky for us there are not many people around when we arrive at Kirkjufell. The path to our photo spot is icy to say the least, so I am happy to have my ice-spikes on my shoes. Converted to Black and White in Silver Efex Pro, using the Full dynamic range - harsh (015) preset and a Selenium (6) toning. 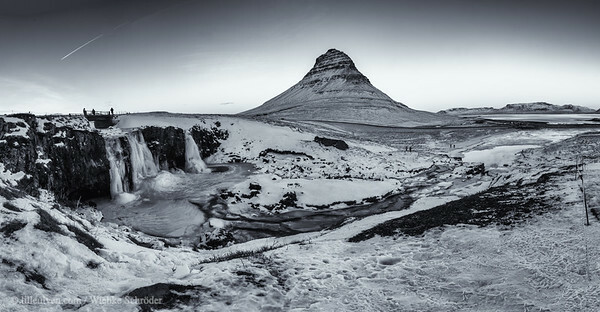 uuid="1F4064EE-3C33-47FC-8D97-85483CF59952" id="Iceland lilleulven.com _K3_09859-Bearbeitet.tif Black and White Lilleulven.com"